In multicultural and multilingual school contexts, it is beneficial for all teachers to develop strong intercultural relationship skills and understand the role of multilingualism in the classroom in order to support English learning across the curriculum. As colleagues in a South Australian secondary school, Mei, Ashima, and Rita, designed and delivered a whole-school professional learning program which addressed this need. They advocated for EALD students as individuals and experts, and invited colleagues to learn more about the lives, strengths and resources of the EALD learners in their classes. Over the course of a school year, teachers were encouraged to take on the role of learner, to listen to students’ stories, and to learn new skills from them. Teachers reported improved understanding of their students’ life experiences, deeper empathy, more positive relationships, and adopted more creative approaches to pedagogy that support English learning across the curriculum. While the EALD specialists running these workshops reported feeling re-energised by their role in the program. This professional learning program was memorable, sustainable and allowed all teachers to rethink themselves as co-learners with EALD students. In this webinar, Mei, Ashima and Rita will outline the program they conducted in the school, and give advice to webinar participants about planning a professional learning program for their own context, drawing on the EALD elaborations to the AITSL standards. Please note that this webinar will cover some of the same content as Mei, Ashima and Rita’s presentation on the same topic at the ACTA Conference held in Adelaide in 2018. The webinar will take place online. Participants will be emailed information about accessing the web-based platform prior to the event. Mei, Ashima and Rita worked together teaching multilingual young women at a South Australian secondary school. Now based in Canberra, Mei French is an EALD specialist, who combines secondary school teaching with teacher education and curriculum development. She has been an active contributor to advocacy and professional learning through TESOL associations. Her PhD investigated the complex and purposeful multilingual practices of secondary school students and their teachers, and the implications for practice and policy. Ashima Suri is an EAL and Science teacher. 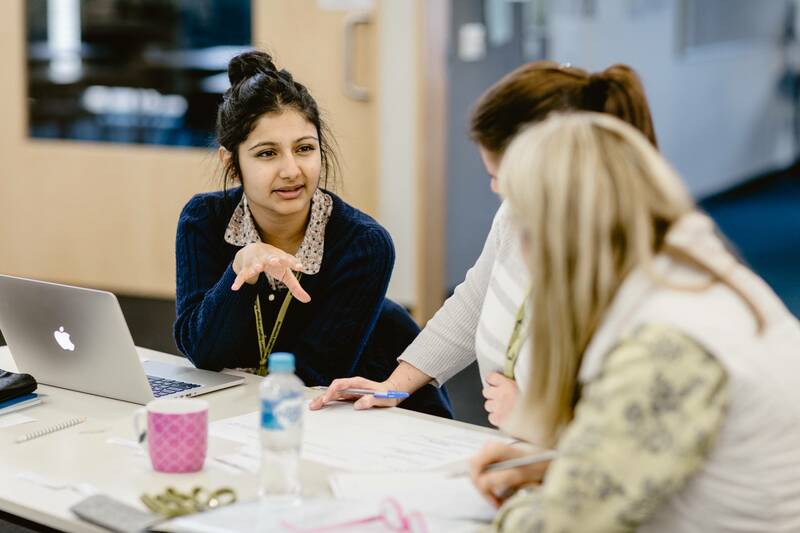 As an EAL network teacher in Adelaide, Ashima has worked across different schools, supporting both students and staff to use different pedagogies to support the development of academic English for students. She takes particular interest in the many ways multilingual students contribute significantly to the school community. Rita Alexander is an experienced teacher who has worked with EAL learners at all stages of schooling from early childhood to Year 12. Rita’s career has seen her work in a broad range of contexts across South Australia. Rita takes particular interest in harnessing students’ varied cultural and linguistic experiences to construct positive learning identities and supporting the learning of English language across the curriculum.